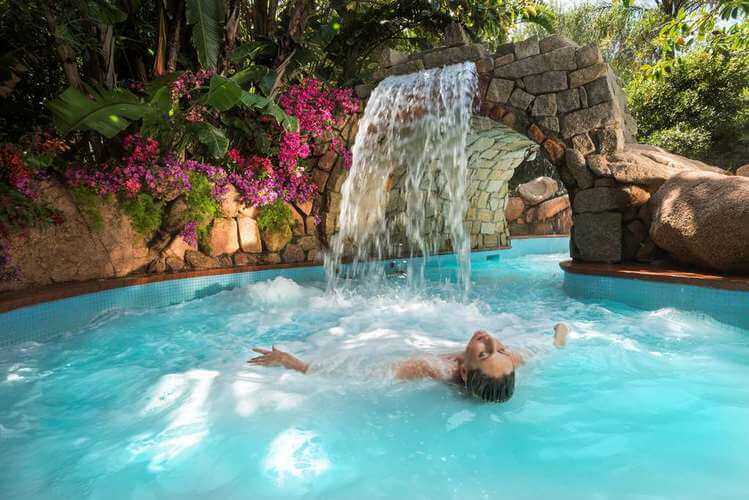 Well-heeled hedonists feel right at home at the 218-room Hotel Castello Forte Village Resort. Consider the setting: An exclusive enclave on the southern coast of Sardinia, with a stupefying choice of diversions — beachcombing; gourmet dining; thalassotherapy; triathlon training; youth soccer, led by Chelsea Football Club coaches; fashion fittings of the foremost Italian labels; and more. 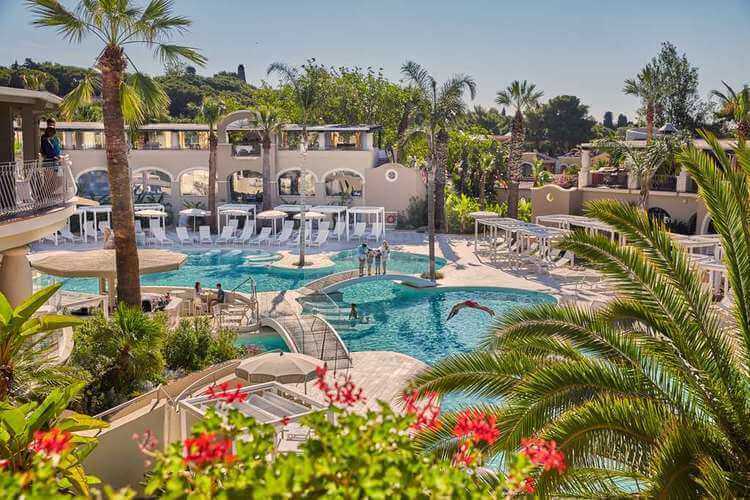 Castello guests enjoy their own pool with direct access to one of the Med’s best beaches; suites come with heady extras, including private butler and chef service. Twenty-one restaurants take you on a culinary world tour. The SPA has a unique circuit of 6 thalasso pools. Relax, practice yoga, enjoy a massage or a beauty treatment. Book the Private Spa for exclusive use with its own pools and dining areas.